The Writer’s Almanac on July 12, 2014. The Writer’s Almanac on July 7, 2014. 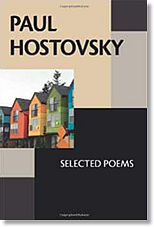 “Poem on the Fridge” is from Selected Poems by Paul Hostovsky. bottle of amoxicillin: the poem is infectious. is seeping through this white door.